A driver driving along the road in his car catches a quick glimpse of the paranormal and manages to capture it on film. Here’s the very short clip of a ghostly figure crossing the road. Some might say this looks like windshield glare, but I’m not so sure. Watch it a few times and see what you think. i think its a smudge on the windshield. im fairly certain of it. It is! WoW!!! This is the first time I’ve seen it all the way through! All the other times I’ve seen this video they stopped it RIGHT before it kind of goes in to focus on the dirt on the window. Thank you Demontales! ..I’m not positive what to say other than I THINK that it might be a fake. It looks like a smudge on the windshield. Either its a fake or the filmers of this video are just REALLY, I mean REALLY superstitious. Welcome to Demontales.com, a paranormal blog serving up your daily dose of ghost videos, strange creatures, paranormal stories, UFOs, aliens, bigfoot, bizarre news and other oddities. What a strange world this is. Want to stay updated on paranormal news stories as they happen? Get exclusive updates and special news sent right to your email. Sign up, it's free! Ghost or Spirit Captured in Photo of Fatal Motorcycle Crash? 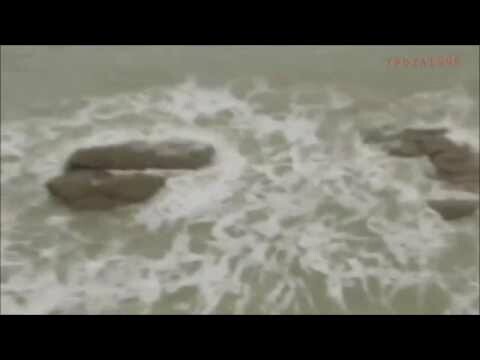 Underwater Pyramid Found on Google Earth? Jordan McPike on McPike Mansion – The Most Haunted House?